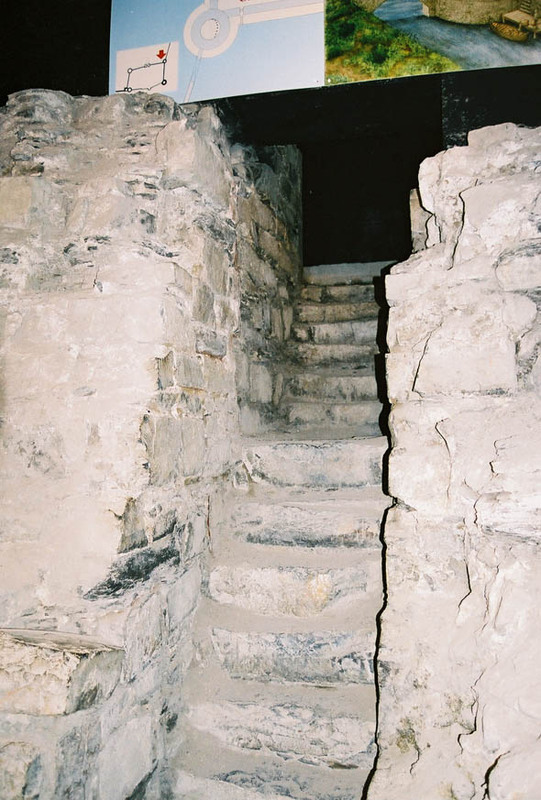 The lower yard of Dublin Castle is built on a steep incline leading up to the upper yard. This posed problems for building so that the Chapel Royal to the south has a large undercroft and the range to the north is built on a terrace. 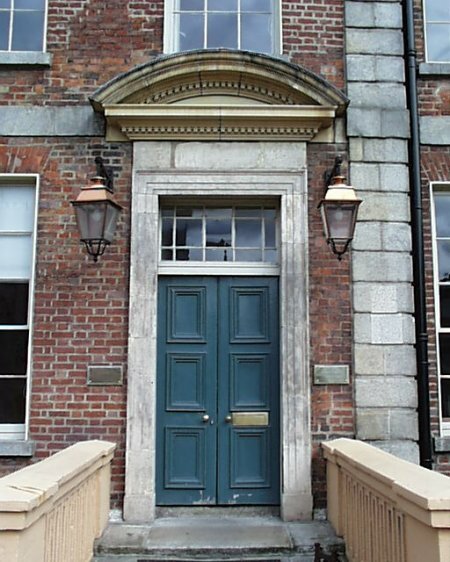 The northern range of offices, the Treasury Building was the first purpose built offices in the city of Dublin and used by the Revenue Commissioners. Treated as separate houses, each has a doorway and staircase. While renovating during the 1980s it was deemed necessary to rebuild the foundations. Underneath was found the remains of the city wall, city gate and one of the original castle towers. 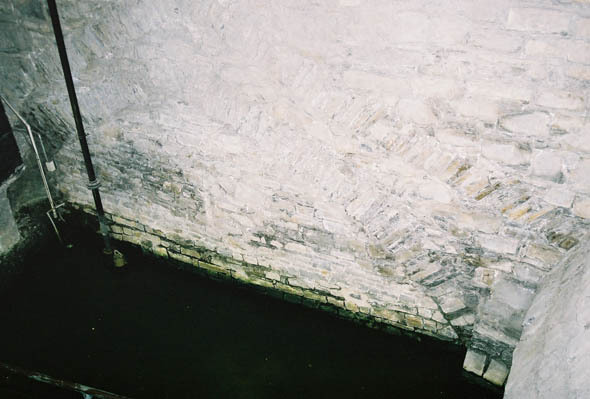 They also found the junction where the Poddle river (now subterranean), which was used to feed the castle moat, runs under the castle walls.